The Unbreakable toughened PMMA surface with high light transmission. Nest reflector cup design pushes lighting efficiency to the max. Oversized grooved heat sink fins extends cooling surface for quick heat elimination. Triple-Row & Nest Reflector Cup Design Pushes Lighting Efficiency To The Max. 18pcs super intensity SPOT (20°) LEDS, much more brighter, Daymaker Projector. 48pcs multi-angle reflection FLOOD (170°) LEDS, wider vision. 12pcs narrow concentrated beam perfect for fog penetration. Philips LED LIGHT BAR--With proper current control, they have a lifespan over 50,000 hours. Unlike cheaply made LEDs, Cree LEDs do not fade early. Despite higher initial cost compared to other LEDs, in the long run they cost less to operate. VISIBILITY SECOND TO NONE-- Advanced dual row superior-quality CREE LEDs that produce up to 72000 lumens of 6500K cool white light effectively light up the forward dark road. 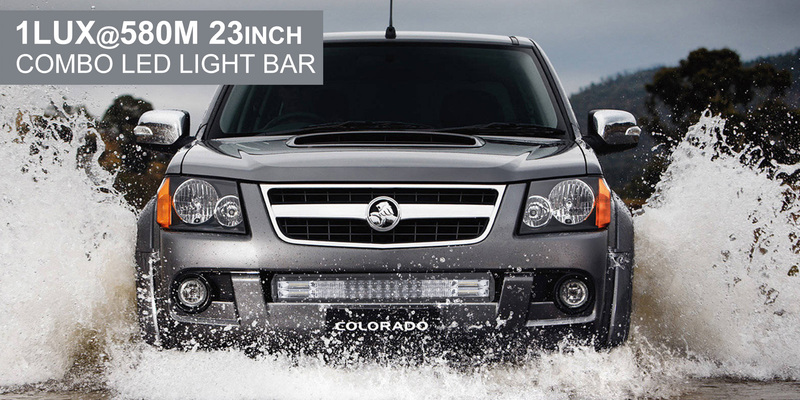 SPOT FLOOD COMBO BEAM--Our led light bar is the combination of spot light 20 ̊ and flood light 170 ̊. These light bars will work perfectly as flood light as they will light up everything in front of you, as spot light as they will make you see anything clearly in front of you. With this it is easy to see obstacles from a distance and slow down appropriately without hard braking.